I knew, even before I became a parent, that my child would be bilingual - perhaps even multilingual. I love languages (even though I haven't been able to learn as many) and consider it an asset and richness of experience to know multiple languages. What I didn't plan on was being an expat parent. Back home in India, it is common for families to practise bilingualism. Many have a regional language (India has 122 official languages!) and often speak Hindi or English in addition to it. It is not uncommon for families to know more than two, depending on where they live. 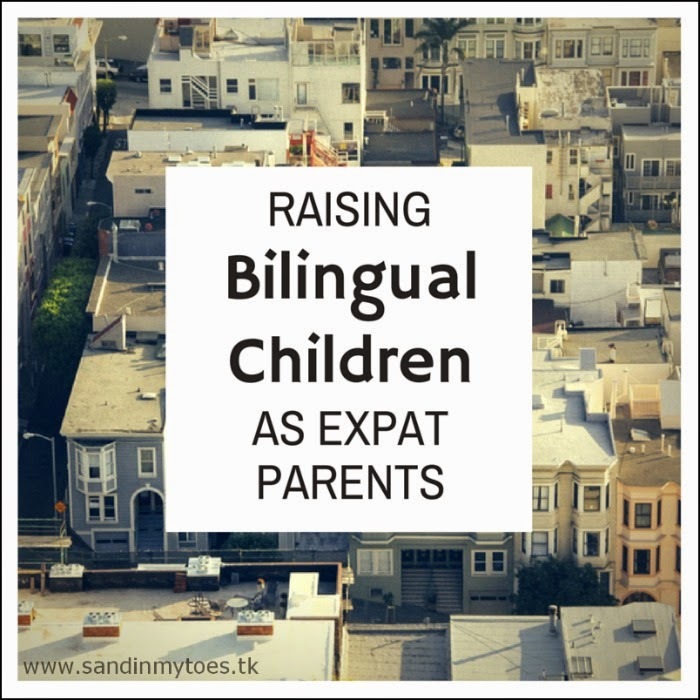 The challenge posed by being an expat parent is that you may end up being the sole provider of your mother tongue to your child. How hard or easy this is depends on what languages are spoken in your host country, and whether your origin language is one of them. We live in Dubai (in United Arab Emirates), and get to hear numerous languages from around the world. The most commonly spoken languages here are English, Arabic, and most languages from the Indian Subcontinent. Tagalog is also very common. In our family, English and Hindi are what we wanted to focus on. But therein was another challenge. Both my husband and I usually converse in English. With our son, we had to decide whether to continue speaking in English, or consciously use Hindi for his sake. Of course, we wanted him to be fluent in his mother tongue. But the decision somehow made itself. We focused on speaking in English, so that he could grasp it well, but also introduced him to Hindi as a secondary language. He's now three, and speaks English well, but only understands Hindi. I don't think we made the wrong decision because English is a common language in most of India and also here in the UAE. It's also the language he will be using to communicate in school. Now that he's got English under his belt, I'm making effort to improve his understanding of Hindi. Many expats like us find themselves in this position. Yet, they don't want to let go of their mother tongue. - Use complete sentences and don't mix up two languages when speaking to them, even if they don't understand all the words. When you want to explain a particular word, you can refer to the other language. - Take them to community events so they associate their home culture with the language. - Encourage them to watch TV shows or films in your language occasionally. - Talk regularly to family back home, whether on phone or through Skype, and encourage speaking in their language. Watching you converse with them will also be a good learning experience for your child. - Play simple games, such as translating simple words into your language, or through role play. - Have them join language classes if they can in school, and schedue time at home when they can practise their skills. The dynamics of how you use both languages depends on your family. You may continue to focus on one language, and work on improving fluency in the other. It also depends on how long you plan to stay where you are, and whether you intend to move back home. Also, if another language is essential to living in your host country, you may have to place emphasis on that first. 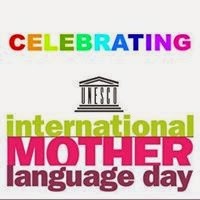 This post has been written for International Mother Language Day being celebrated by UN on February 21. To read more stories of bilingual and multilingual families, follow our International Mother Language Celebration page on Facebook. Learning languages is so much fun, isn't it? Glad to know this post answered a few of your questions! My Spanish proficiency depends on my usage, directly. I don't use it enough. I wish I did, so that my kids could learn too. My oldest now probably knows more than me because she has good grades in her Spanish class. School really does help strengthen languages. Good to know she's doing well in Spanish! Good post! I do get what you are talking about as my kids are being raised trilingual. English as the primary, French and Spanish. The one that is least spoken, but fully understood is the Spanish. Interesting! It's great that they can understand three languages. I hope you can teach him one day! We focussed on English too so both my kids have advanced vocabulary for their age. They just about understand hindi and I'm hoping to start teaching them to speak it soon! Maybe a once a week class will help! This is awesome! I wish I spoke another language to teach my son! Yes, children do catch on quickly! We speak Tagalog, Visayan and English but English primarily at home. We do this because all subjects at school except for Filipino are taught in English.